After his debut last year, The Eskapist re-appears from the shadows for another double-episode of the story. Joining forces for the first time are label founder Len Faki and Juxta Position. How effectively the prolific producers worked the machines with combined strength shows in every fiber of this four-tracker. The record's sides feature two alternate mixes of each track, "Superstition" tempts with is sultry vocal, driven by an irresistible acidic groove, fusing Juxta Position's preference for rough and analog sounds with the tight programming Len Faki has become renowned for. A lot more tender than its counterpart, "Gathering Clouds" slowly builds from jagged synths and droning basses, brewing up a vivid tempest of anticipation. 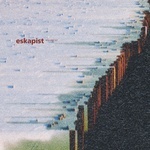 The Eskapist returns with his second statement of personality, handing in a seasonal EP ranging from a seriously immersive opener to the shuffling full-force rhythms of "Islet Observer", gently flowing tides on "Brittle", and finally some soulful electrifying alien techno, as "Voluptuous Runner" takes things home. This is where the Eskapist dwells; here one finds freedom. Setaoc Mass's fourth record for Figure displays a level of maturity an artist this young rarely inhabits. 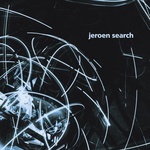 Two tracks feature his ability to craft finely layered IDM, showing another perspective of the ideas behind the cavernous techno taking up the rest of this EP. Nestled between the electronica-pieces is "Torque", heavy yet undeniably beautiful with its big breaks towards ascension. "Always Falling, Never Declining" is a slowly swelling beast with many heads. 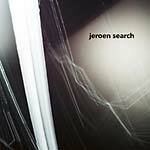 Spiraling inwards, "Search Lights" is that key track to drop in the murkiest, darkest hour of the night. Shlomi Aber continues to explore different avenues of his multi-faceted sound with Whistler. Setting the pace is driving opening track "Whistler", the producer showcasing his ability to craft something big but undoubtedly refined. He then lets old school drums cruise along gentle sways of washed-out ambience. Back with more techno on the B side, this time in true Figure-style: lean, sharp, and utterly effective "Penetrate The System" leaves its mark and comes complete with an extended, separate intro. Staying atmospheric to the end, Aber chooses to step out in half-time, taking cues from dubstep. 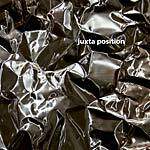 Juxta Position finally finds his way to Figure, with highly infectious, acid-festered analog techno runs. Feeding on the raw and dynamic energy of live hardware production, these jams hit the sweet spot where constant modulation and spontaneous changes transform a bunch of loops into something more than the sum of its parts. Whether it's a bouncy ride around the rings of Saturn with "Elixir", the frantic sledge hammer-assault of "Stepping", cascading down into the machine's bowels on "Automated Reproduction", or the all-out overdrive that is "Pestered" -- every track on this record takes on a whole life of its own. Listening back to Roman Poncet's first releases on Figure in 2013, they already hinted at the producer's keen technical abilities and a knack for rich texturing, resulting in tracks that were both carried by force and form. What he delivers now is an impressively mature debut album, ripe with personal creative realization. On Gypsophila the French producer uses the extended format to slowly shape up a scenery of epic proportions where surprise and constant change lurk around every corner. A certain sense of progression and evolution runs throughout Poncet's music; it invariably keeps one locked in, no matter for the opening drones of "Do Not" or the patiently growing "Thick Vegetation", which fuses tribal percussion and choral chants to showcase another of this LP's key features: its dense soundscape, which at once feels inherently electronic yet deeply organic, translating the abstract futuristic themes of techno into something jam-packed and heady albeit steadily grounded -- a listening experience that is as dreamy as it remains tangible. This holds true for the highly atmospheric synth-lead pieces, such as the cinematic intro "Hello You", the elevating Arp-ride "Épreuve", or the suspended celestial groove of "Atlas". But equally goes for the floor-focused rhythms, like relentless steam engine-workout "Piège" or mid-album mind-trip "In Aeternam". Adding even more variety and depth to the mix, the tidal title track is given its own side to explore the sheer endless expanses of dub... Bundling the complete range of his influences, Gypsophila marks the pinnacle of Roman Poncet's work to date. Covering a spectrum this broad in his very own way, the album proves as relevant for the current club scene as it will be for repeated return visits. Voda ("water") the second part of his trilogy sees Aleksei Nikitin delving deep into Baltic seas. Coming up again with chilled flows of acid on "Vdaleke", the bubbly yet driving thump of subaqueous "Placeholder"; then he goes diving even further on the flip, cruising through underwater caves filled with tentacles of twisted, seductive electro, gnarly acid-techno, before finally emerging in "Iskatel", ears still ringing with harmonies of shredded beauty. Vozduh ("air") marks the first in a series of EPs by Nocow for Figure, showcasing his emerging signature-style of electronica-tinged techno. As each part of the trilogy is represented by an element, the tracks on Vozduh are vaporous by nature: from the crackling ambiance of opener "Bouis" to the weightless vocals on stoic "Forgiven", as well as a surprisingly introspective take on ghetto-house or the wafting melodies closing out the record's B side -- all forms seem to be in constant shift, casting a dense yet permeable body of sound. Zemlya ("earth"), the final installment of Nocow's three-part EP-series for Figure unearths the artist's maybe most drastic work to date. While opener "Libbi" still sprouts gently into crystalline arteries of ambiance, the incessant arps of "Synchronicity" loom ominously. Equally challenging, yet offering conciliation in form of string-led soothing is "Rave Button", after which the record finds closure in the seemingly open-ended sound spiral of "Troubles Will Be Miles Away". Ever throughout a long-standing chameleonic career in nightlife, Colleen Martin has been one to challenge expectations and confidently confront boundaries. 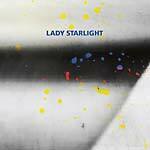 Having established herself now firmly within the techno scene as Lady Starlight, she presenting a statement of bold and pounding beats on her EP for Figure. Which One of Us is Me? showcases a completely intuitive approach to making music, with every track coming together as a direct stream of creativity, channeled straight into the solely analog hardware. It imbues each composition with a strong sense of immediacy, a quality that only further intensifies the raw energy transmitted. Swedish artist UBX127 is back on Figure with Void EP. Gently pulsating crystalline opener "Void" carefully sets a vast open scene, covered in gushes of interplanetary winds. First contact is made on "Isolate & Identify", its electro-esque drive and spiky synths hinting at its alien origins. A taste of their mighty technology is given on "Watch Out Below", booming with a propulsive punch and constantly swelling in intensity. Relief comes in form of "Singularity", a beautiful, long-winding closer, on which soothing arps effortlessly outweigh their beat-y counterparts. Lewis Fautzi's fourth EP for Figure is a collection of tunes that interlock seamlessly in a gradual progression, displaying his skill for crafting tailor-made tools for every energy-level. Starting out with two elastic grooves, the A-side carefully sets the scene for what is yet to come. Careful layers of rich acid riffs and precise placement of atmospheric details and fine-tuned textures -- this clearly is the work of a producer on top his game. Keeping the finesse, but amping up the oomph, the B-side bursts out with two heavy-hitters that pull out all the stops. Shlomi Aber's first outing for Figure sees the now Barcelona-based artist drawing on his many influences to deliver a tastefully rounded three-tracker. "Under Two Worlds" grooves subtly along a funky acid riff, while anthemic synths longingly recall bygone moments of grandeur. Paced only at half-time and drenched in dubby reverb, the weighing beats of "Rumbles" engage with delicately shaped sounds for some seriously spaced-out head nods. "Matrix" is a tightly woven mesh of machinery insides, which Aber nevertheless manages to channel into a fairly straight- forward kinetic energy. Figure presents the first outing of what might be one of techno's most promising collaborations, Seatoc Mass and Matrixxman. Drawing upon common thoughts on futuristic themes and their respective strengths as producers from different continents, their joint effort clearly conveys one distinct approach, yet unites the seemingly opposite. Regardless of being no-nonsense dancefloor-weapons, the four tracks still brim with detail, their vibrant elements communicating playfully. On their shared EP these artists have struck a rare balance. They delicately hover between the spacious and the claustrophobic, the modern and the classic, the stern and the elated.